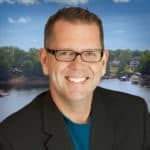 We use local MLS listings that are more accurate and up-to-date than manually updated Zillow.com, Realtor.com, & other national search portals. 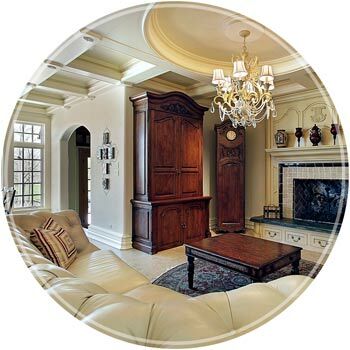 For Advanced Search Click Here. 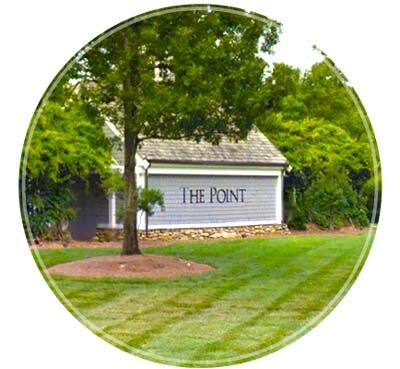 Lake Norman is simply a beautiful place to call home! For those of you who already live here, we are certain you appreciate the activities the lake brings to the area. For those of you who are considering, or will be relocating to the area, you are in for a real treat. 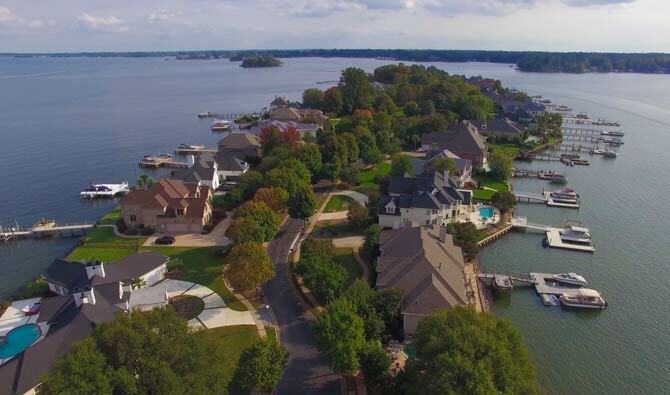 Please make sure to view our growing library of neighborhood video guides to get a better feel for just how special Lake Norman really is. 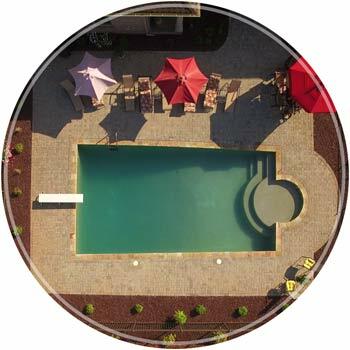 Neighborhoods with * provide informative video guide with aerial footage. Lake Norman rests on almost 520 miles of shoreline! When Erin and I first heard this we thought, how is this even possible? 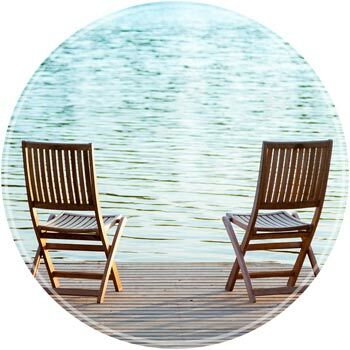 It only took one trip out on the lake to realize that, without navigation, we may have never made it back to where our journey had begun earlier in the day! The unique thing about Lake Norman is the hundreds of smaller coves that offer very calm shorelines for those of you who like to get your Kayak or Paddle Boarding on. 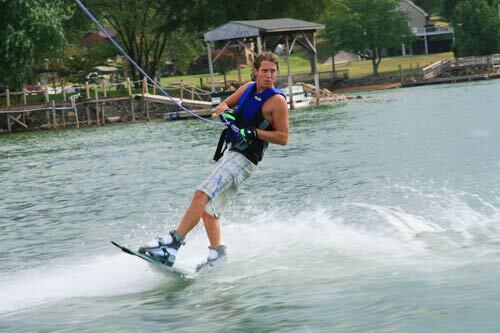 While at the same time, offering deep water main channels for those who prefer wake boarding, jet skiing or sailing. 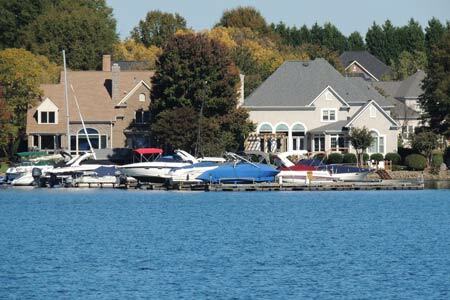 Those who own real estate on the shores of Lake Norman with their own boat slip can also enjoy lunch or dinner at several restaurants that provide boat access for dining out Lake Norman style. 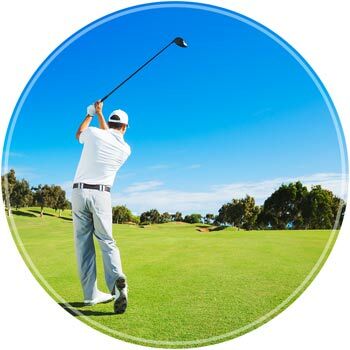 You will find other things like, fishing and guided fishing tours, several parks, walking trails and a whole host of activities right at your fingertips. Oh yes, something my bride would never let me forget, there are plenty of dog parks too! If we just hit the rewind button to 1959, you might have found yourself trying to boat or float on a corn field. This would have been right before the decision was made to dam up the Catawba River we now refer to as Lake Norman. 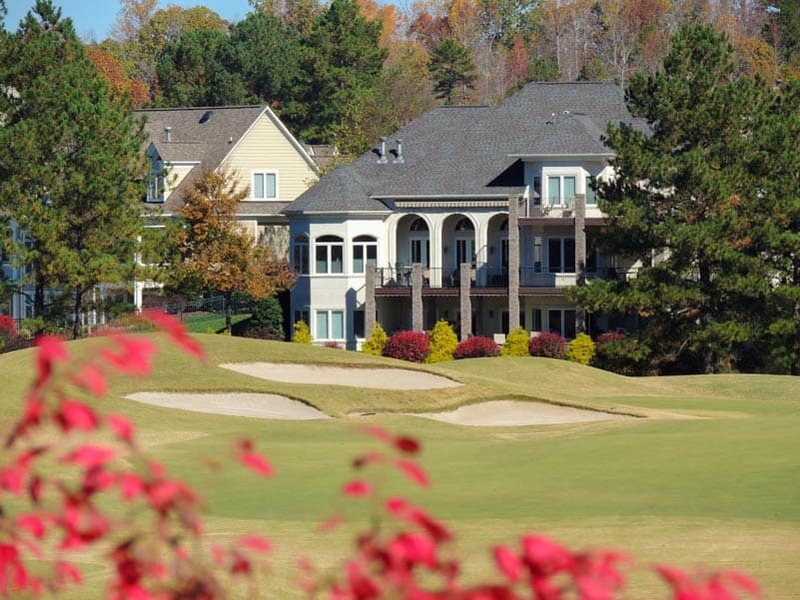 Fast forward to 2015 and you have some of North Carolina’s most prime real estate. From 900 square foot bungalows to 14,000 square foot mansions, these homes have some of the most breathtaking views you have ever seen. 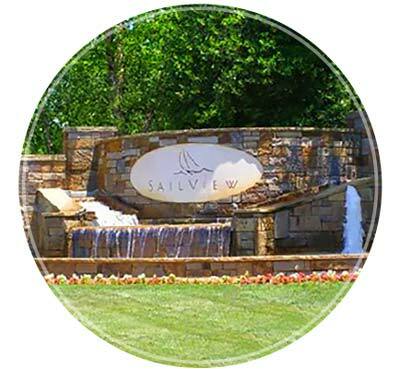 Lake Norman Real Estate Is Experiencing Growth! Real estate values as of mid 2015 have almost completely recovered from the downturn of 2008-09. 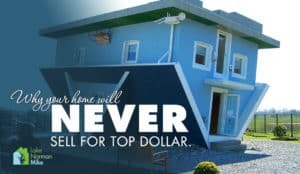 Many developers who bought land and had projects lined up pulled out during the decline but are now back in the game and building in full force. Permits for new construction at the end of 2015 are expected to reach the levels of 2007-08 when they peaked. 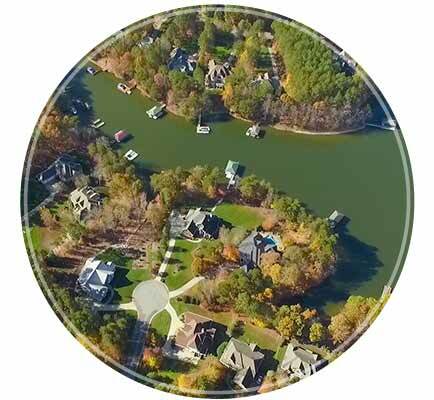 Growth is expected to remain high as the demand to live near Lake Norman remains strong. 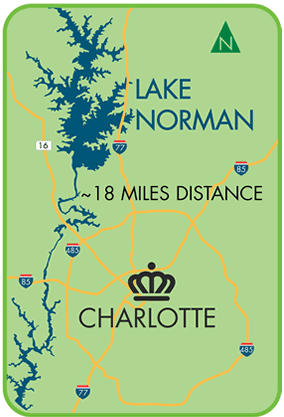 The two major freeways which access the Lake Norman Area are I-77 and Highway 16. Interstate 77 bridges Charlotte to the cities of Huntersville, Cornelius, Davidson and Mooresville, all the way to Statesville even farther north. Highway 16–known to locals as “new 16” as opposed to “old 16” which is the slower Business Highway 16–services the quieter side of Lake Norman for the towns of Denver, Sherrills Ford, and including the zipcodes for Iron Station and Stanley. 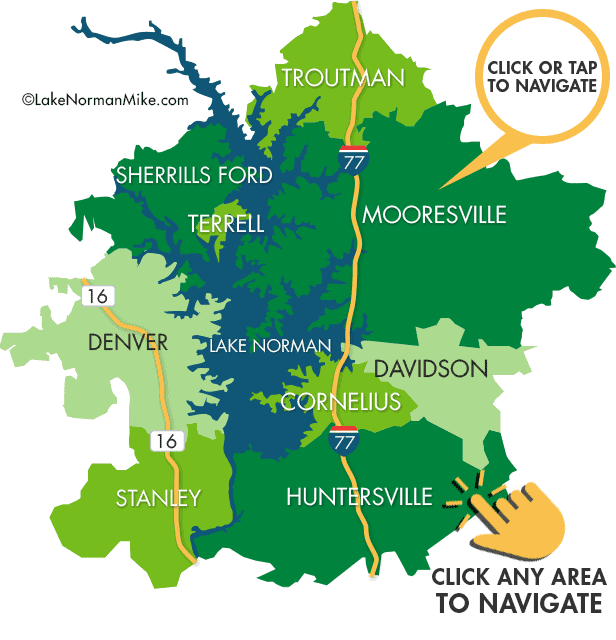 Hint: Use the “Clickable” Map of Lake Norman above to see where each town is located and for valuable community information. Many of those who live around the lake make the daily trek to Charlotte for work. Commuting times will vary depending on whether you are accessing Charlotte from Highway 16 or I-77. The congestion on the I-77 side of Lake Norman is heavy and consistent during commute times where 16 is a bit less travelled. 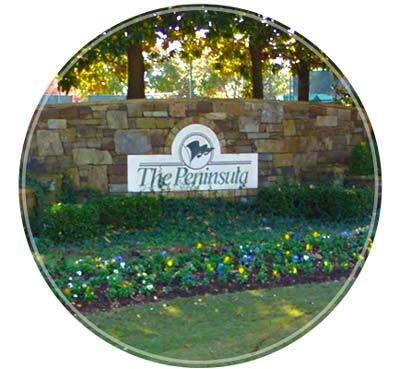 Denver, Terrell and Sherrills Ford are considered to be on the quiet side of Lake Norman while Cornelius, Huntersville, Mooresville, Davidson offer much more for those who enjoy a little bit more shopping and nightlife. Charlotte, North Carolina, the nation’s second largest financial district and home to the NASCAR hall of fame is right down the road. 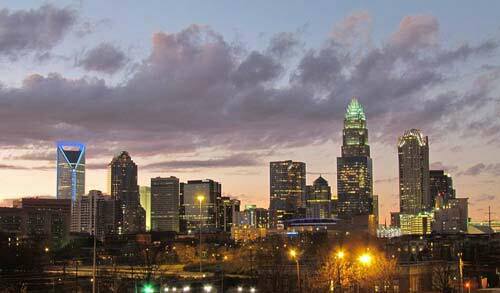 A city that has been written up in many well-known publications, ranking 8th in CNN Money’s 100 best places to live, while Relocate-America.com in 2008 chose Charlotte as the “Best Place to Live in America” based on crime rates, housing affordability and employment opportunities. Let us not forget about the Bank of America Stadium and home of the Carolina Panthers! This 73,000 seat newly updated stadium sells out every weekend! NASCAR has been and will be a driving force in developing the financial strength of the city of Charlotte. 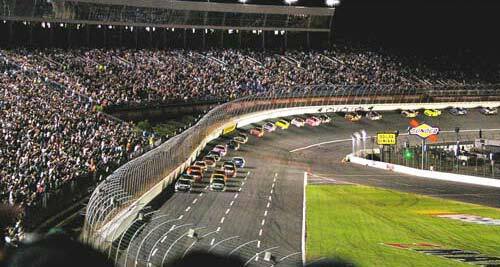 As of recent account, approximately seventy five percent of the NASCAR industry’s employees call Charlotte their home.